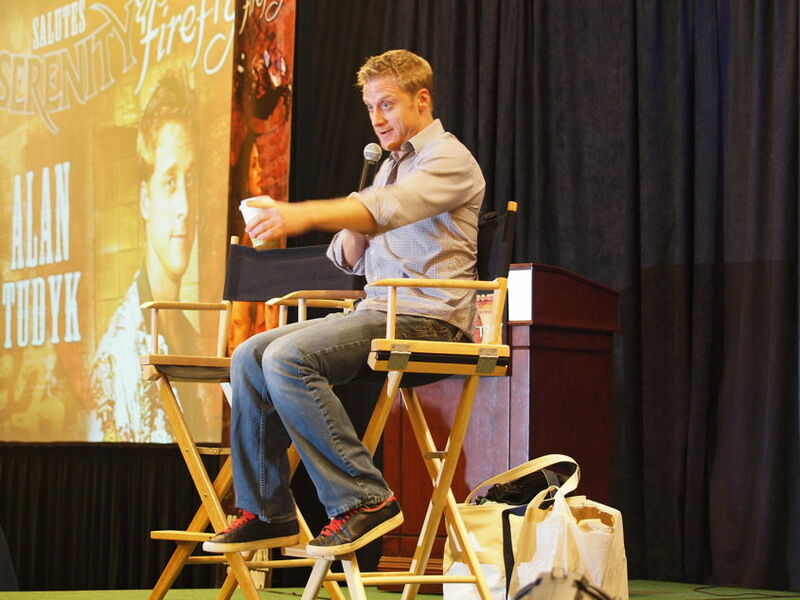 We're very happy to be back for our 4th Annual Convention saluting the work of Joss Whedon, this year expanding to cover all of Joss' television shows inlcuding FIREFLY, BUFFY & ANGEL and DOLLHOUSE. You're invited to join the fun: a weekend full of celebrities, events, contests, videos, auctions, parties, music, autographing, photo ops, and tons of fellow fans from around the globe. And as an extra treat: we're running two other fan conventions the same weekend in the same hotel (The Official Stargate and The Official Farscape Conventions) and Gold Weekend Patrons get complimentary admission to ALL THREE events! And all attendees can grab autographs and photo ops with all the stars! 3 Conventions=3 times the fun: don't miss this once in a lifetime celebration! 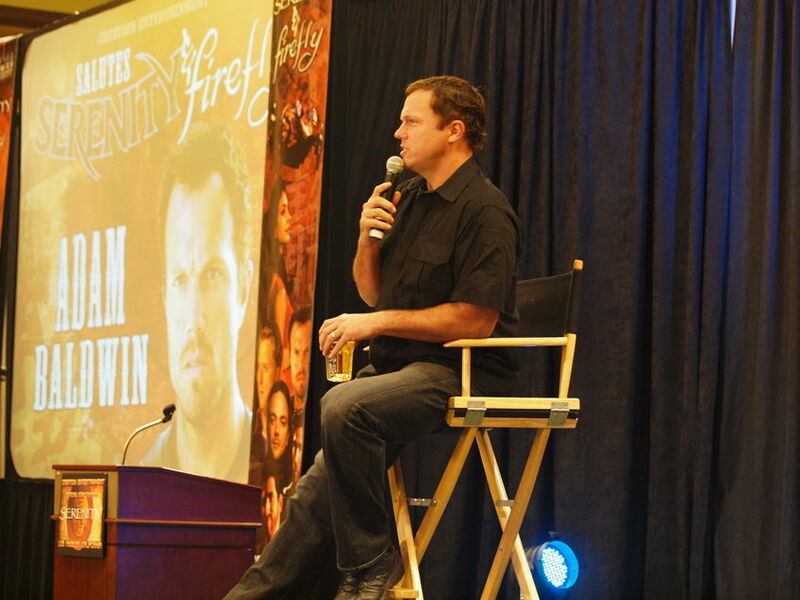 Check out these photos from our 2009 Firefly / Serenity event! BUFFY’s Gentleman/Gnarl/Übervamp; ANGEL’s Prince of Lies. Camden will have a booth in the vendors room all weekend to offer his autograph for a nominal fee. Mr. Glass will be signing autographs for a nominal fee at the QMx booth in the vendors room. Appearing Saturday, approximately 4pm. BUFFY’s The Gentleman; FANTASTIC FOUR’s Silver Surfer. Doug will have a booth in the vendors room all weekend to offer his autograph for a nominal fee. MELLIE of DOLLHOUSE will be on hand Saturday to meet fans and sign autographs for a nominal fee! Make sure to be on our e-mail newsletter list to get announcements about Creation Entertainment events! Available onsite at the convention on a first come, first served basis! Check out our nifty promo card for the weekend! Click to enlarge! SUNDAY BREAKFAST WITH BEN BROWDER, MORENA BACCARIN, SEAN MAHER & FRANCESCA BULLER! On Sunday morning (8:30am) fans from around the world will come together for an annual event that is always tons of fun! 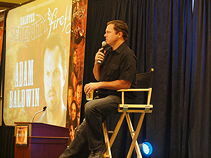 It is our ANNUAL BEN AND FRIENDS Breakfast and Silent Charity Auction headlined by the one and only BEN BROWDER, joined by fellow genre stars including his wife, Farscape guest star FRANCESCA BULLER and from FIREFLY, STARGATE and now starring on "V" MORENA BACCARIN and popular Firefly star SEAN MAHER. Our auction benefits the James Ellis Foundation of Hofstra University. This great charity (which donates ALL of raised funds) helps students affected by cancer in their efforts to attend college. Creation and its loyal audience has helped to raise hundreds of thousands of dollars for this charity and it is always a pleasure to do so. Click on through to read more about the charity. Tickets for the Sunday Morning "Ben & Friends" Breakfast are $99 each and available in limited supply. A continental breakfast will be served. Our great friends at QMx are back again this year as special sponsor participants in our program of events for the weekend. We know you will love what they have planned for their three special panel events. Check it out and be sure to visit them in our vendors room: their products are sensational! Down in the deepest, most secure vaults at QMx's top secret development facility, our team of crack designers is always hard at work, creating the shiniest Firefly/Serenity collectibles in The Verse. 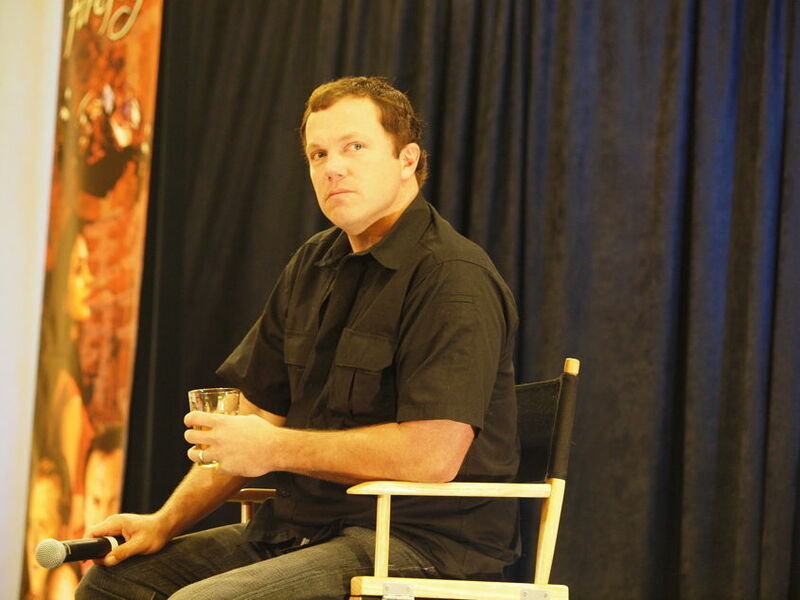 As has become our annual tradition, the QMx keynote at the Creation Serenity Con is the one time of year where we throw open the vault doors and give you a look at what's to come. Last year we revealed Serenity in her (as yet unpainted) glory. This year, we have even more surprises, big surprises, you'll-kick-yourself-if-you-miss-it surprises. So arrive early and come prepared to be blown away. And bring your friends – no one is going to want to miss what we have in store for you! A panel about writing from our favorite Verse writers. Ask questions, hear funny and relevant writing anecdotes and perhaps take home the info you need to start your own career in television writing. 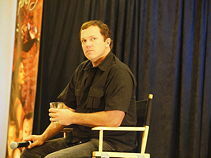 Panel participants have agreed to sign autographs on a complimentary basis after the conclusion of their presentation. FRIDAY NIGHT KARAOKE PARTY: GET THE WEEKEND STARTED EARLY WITH A FREE COOL ADDED EVENT! HOSTED BY THE STARGATE'S HILARIOUS DAN SHEA! As an extra treat for the great attendees for all three conventions going on in the hotel over the weekend, Creation Entertainment is happy to present this special FREE PARTY for all! We've had a great time with our CREATION FRIDAY NIGHT Karaoke Parties at past events so come sing, watch, or raise a few with Creation staff, fellow fans and surprise celebrity guest drop-ins! You never know who might show up and it is a great way to mix and mingle! Exact times and locations will be announced on the printed schedule available at the convention itself (or on-line by the Wednesday prior to the opening day) ENJOY! Because there are now three sets of gold patrons involved we can not guarantee same seats you had during the day but this will be made up by the fact that we will have lots more cool performers to enjoy! We will have a section for gold patrons to take seats (which will be non-reserved within the section). Three months after the events in Universal Pictures® motion picture, Serenity®, we find Captain Laura Matthews and the crew of Redemption unintentionally thrown into a situation that some view as the potential catalyst for the second unified rise of the Independents against the Alliance since Unification Day. The Alliance is looking for a scapegoat for Miranda, while those unhappy with the Alliance are looking for a rallying cry to take action. 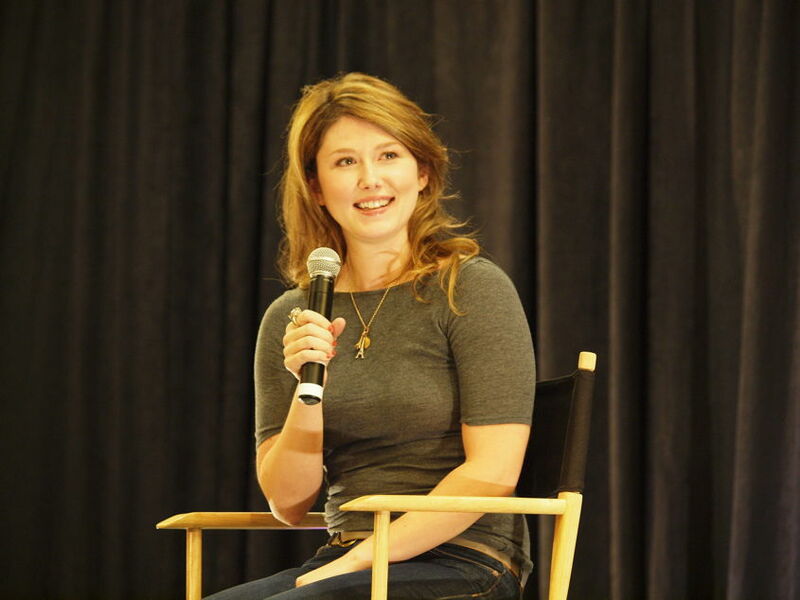 Through all this, a secret about Laura is exposed that shakes the very core of the crew, threatening to break it up, challenge the trust that Laura has earned with the Browncoats, and undo all the efforts she has put into place to keep a sense of peace in her life since the first Unification War. It's time to put all that Whedon watching to the test by showing off your knowledge about all of his TV shows in our fast-paced exciting live gameshow. 90 players can participant so be in the audience and start cramming now: the last person standing is a winner! The famous Creation Entertainment Costume Parade Competition is always a highlight of the convention. Set for Saturday here is your chance to show off your creative abilities by dressing as any character from Joss Whedon's various productions or making up your own. The winner goes home with a $250 gift certificate but we have prizes for everyone who enters! Another way that fans can show off their love of the shows we're honoring is by entering our famous themed CENTERPIECE CONTEST! This event takes place at our DESSERT PARTY (Saturday Evening) and is for Gold Members attending the event this weekend! Create the very best centerpiece that touches the hearts of our judges and the themes of the convention and you might just win a special $250 Gift Certificate! Just be "GOLD" and bring your entry to the party and that's all it takes to enter! THE DESSERT PARTY itself promises to be something special: featuring celebrity drop ins from JOSS WHEDON SHOWS, STARGATE, and FARSCAPE, 3X the guests, 3X the fans, 3X the fun! Tentative Guests include DAVID FRANKLIN, RAELEE HILL, GIGI EDGLEY, BIANCA CHIMINELLO (Farscape), and DAN SHEA (Stargate). Rules: one music video may be submitted on DVD only (please no computer-based media like CD accepted). PLEASE USE ONLY NTSC FORMAT FOR YOUR DVD. Entries are judged on the following criteria: video quality, audio quality, editing quality, inventiveness, song selection, and originality. Humorous submissions are encouraged. Entries can not be returned, and person submitting entry is granting Creation the right to play this entry in perpetuity at Creation events worldwide and/or on line at the Creation website(s). Creation does not sell music videos so your entry will never be sold as a commercial product, just presented at our events/on line. Winners will receive a $100 gift certificate good for Creation products. Winners will be announced and certificates awarded on site; if you are not present we will mail the certificate to you so be sure to include your return address, phone number and e-mail. You may email our offices at to confirm receipt of your entry but we do not announce winners until the event. All entries are due at Creation offices by October 6th with no exceptions. Thanks and good luck! Here's a great way to attend both Saturday and Sunday daytimes. 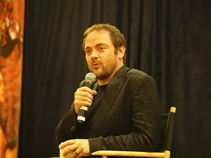 1) Fantastic reserved seatings for daytime convention main auditorium events BOTH DAYS. These are placed to the sides and to the rear of the Gold Weekend Patrons. 2) Complimentary, non-rushed, in-person autographs with great guests ELIZA DUSHKU, MORENA BACCARIN, SEAN MAHER, and NICHOLAS BRENDON. Bought separately these would cost $100. 5) Pre-Registration for Preferred Weekend Patrons so you can get your credentials early and get set for the weekend! 7) You can also purchase autograph and photo op tickets from all the guests from all three conventions taking place at the hotel. Here is the most economical way to attend the full daytime convention. You get a non-reserved seat in the rear of the theatre both Saturday and Sunday. Here's the best way to attend any single day of the convention. You get a reserved seat in the main theatre that day (yours come and go all day), plus admission to our vendors area. You can also purchase autograph and photo op tickets from all the guests from all three conventions taking place at the hotel. This option does not include complimentary autographs. Here is the most economical way to attend any single day(s) of the convention. You get a non-reserved seat in the main theatre that day (in the rear of the room) plus admission to our vendors area. You can also purchase autograph and photo op tickets from all the guests from all three conventions taking place at the hotel. 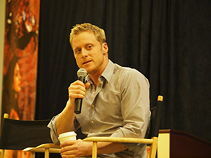 Autograph and Photo Op Tickets do not include admission to the convention. �You must have an admission ticket for the convention in order to redeem autograph and photo op tickets. 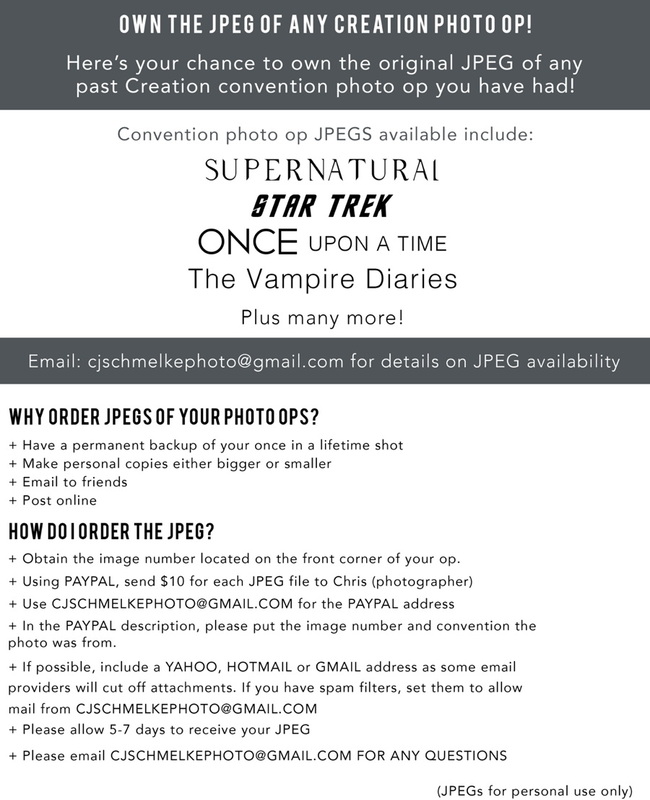 PHOTO OP TICKETS ARE E-MAILED TO YOU BY THE TUESDAY BEFORE THE CONVENTION. THANKS! 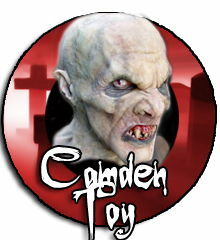 DOUG JONES & CAMDEN TOY and YOU! Morena Baccarin & Sean Maher AND YOU! : a one-time only opportunity! Special room rates for attendees: $112 per night! HERE IS THE SUPER-TENTATIVE SCHEDULE FOR THE WEEKEND. Please note that all times are subject to change but we wanted to give all our great fellow fans the early chance to tentatively plan their weekend out! With two other conventions going on the same weekend in the hotel there is A LOT to choose from! GET THE WEEKEND STARTED EARLY WITH A FREE COOL ADDED EVENT! NOTE: GOLD PATRONS please sit in the "Gold Section", we can not reserve your specific same seat since this is open to all three conventions! 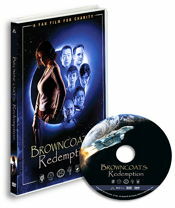 11:20 am Special Screening: "Browncoats: Redemption"
A fan film for charity. Three months after the events in Universal Pictures® motion picture, Serenity®, we find Captain Laura Matthews and the crew of Redemption unintentionally thrown into a situation that some view as the potential catalyst for the second unified rise of the Independents against the Alliance since Unification Day. The Alliance is looking for a scapegoat for Miranda, while those unhappy with the Alliance are looking for a rallying cry to take action. 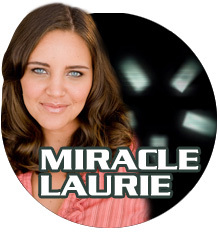 Through all this, a secret about Laura is exposed that shakes the very core of the crew, threatening to break it up, challenge the trust that Laura has earned with the Browncoats, and undo all the efforts she has put into place to keep a sense of peace in her life since the first Unification War. 12:50 pm Filmmakers Panel: Meet the fine folks behind the making of "Browncoats: Redemption"
2:35 pm – 3:05 pm: Eliza Dushku Private Meet & Greet with TEN lucky fans, please check at registration for availability. 2:40 pm The Creation Sci-Fi Media No Minimum Bid Auction: a fast paced bargain filled auction, be on hand for the great deals! 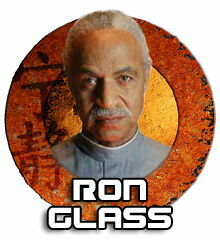 6:05 pm Photo Ops with Ron Glass, tickets at registration for $40. Please get this photo op done before getting your Eliza/Nicholas autographs if you should have both. 6:25 pm in the theatre: Ron Glass will be meeting fans and signing autographs for a nominal fee, check at his signing table for pricing. 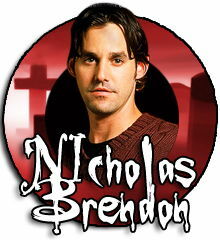 7:50 pm Private Meet and Greet with Nicholas Brendon for 10 lucky fans. Check at registration for availability at $100 per seat. Complimentary and exlusive for all Gold Weekend Patrons of all three conventions this weekend. Show off your love of the shows we're honoring is by entering our famous themed CENTERPIECE CONTEST! Create the very best centerpiece that touches the hearts of our judges and the themes of the convention and you might just win a special $250 Gift Certificate! Just be "GOLD" and bring your entry to the party and that's all it takes to enter! THE DESSERT PARTY itself promises to be something special: featuring celebrity drop ins from JOSS WHEDON SHOWS, STARGATE, and FARSCAPE, 3X the guests, 3X the fans, 3X the fun! Tentative Guests include DAVID FRANKLIN, RAELEE HILL, BIANCA CHIMINELLO (Farscape), DAN SHEA (Stargate), and CAMDEN TOY and DOUG JONES (Buffy). 8:30 am: On Sunday morning fans from around the world will come together for an annual event that is always tons of fun! It is our ANNUAL BEN BROWDER AND FRIENDS Breakfast and Silent Charity Auction headlined by the one and only BEN BROWDER, joined by fellow genre stars including his wife, Farscape guest star FRANCESCA BULLER and from FIREFLY, STARGATE and now starring on "V" MORENA BACCARIN and popular Firefly star SEAN MAHER. Our auction benefits the James Ellis Foundation of Hofstra University. This great charity (which donates ALL of raised funds) helps students affected by cancer in their efforts to attend college. Creation and its loyal audience has helped to raise hundreds of thousands of dollars for this charity and it is always a pleasure to do so. Tickets for the Sunday Morning "Ben & Friends" Breakfast are $99 each available at registration on Saturday. A continental breakfast will be served. 10:00 am AUTOGRAPHS with MORENA BACCARIN: Due to filming of “V” Morena must make an early flight so we have changed the time of her signing to accommodate this request. 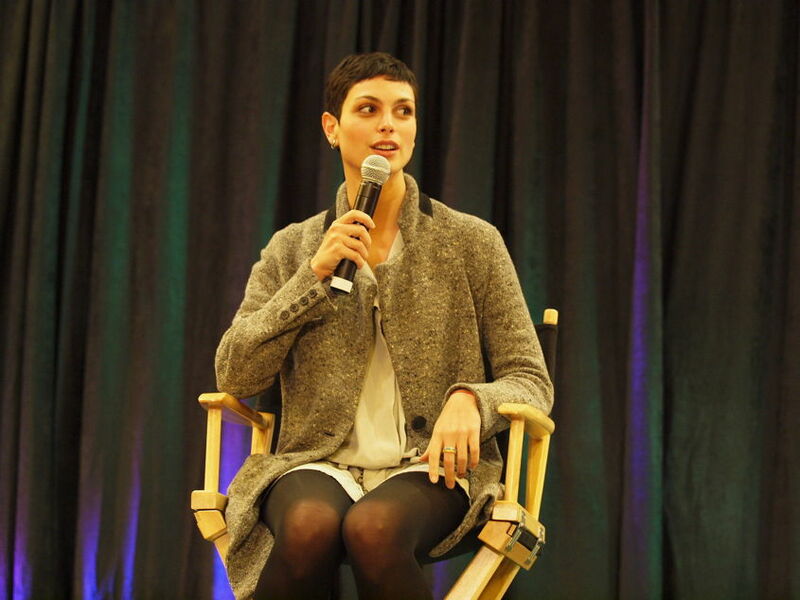 Autographs with Morena Baccarin will take place in the hallway by registration. Ms. Baccarin will sign autographs on a complimentary basis for Gold and Preferred WEEKEND Patrons. Autograph tickets available at registration for $25. Please note the separate line-up for Gold Patrons from this convention. 11:20 am “QMx: DECLASSIFIED” Down in the deepest, most secure vaults at QMx's top secret development facility, our team of crack designers is always hard at work, creating the shiniest Firefly/Serenity collectibles in The Verse. As has become our annual tradition, the QMx keynote at the Creation Convention is the one time of year where we throw open the vault doors and give you a look at what's to come. Last year we revealed Serenity in her (as yet unpainted) glory. This year, we have even more surprises, big surprises, you'll-kick-yourself-if-you-miss-it surprises. So arrive early and come prepared to be blown away. And bring your friends – no one is going to want to miss what we have in store for you! 12:45 pm Whedon Shows' YES/NO TRIVIA GAME: Here's where we find the true experts in all things Whedon: the last person standing could win $1750 in gift certificates! 1:15 pm On Writing with Jane Espenson (Caprica, Firefly, Buffy), Drew Greenberg (Buffy, Firefly), Andrew Chambless (Dollhouse) and Jose Molina (Castle, Haven, Firefly). After this session, our fantastic panel has agreed, their time permitting, to sign autographs on a complimentary basis for all at The QMx booths. 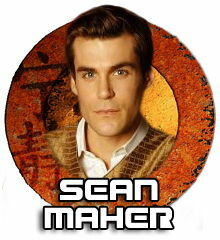 1:50 pm to 2:50 pm Private Meet and Greet for Ten Lucky Fans with Morena Baccarin and Sean Maher. Check with registration for availability at $200 per seat. 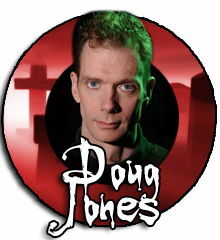 3:45 pm Camden Toy and Doug Jones (Buffy's Gentlemen and so much more!). Doug and Camden have a booth in the vendors area to meet fans all weekend. Their autographs are available through them at their booth for a nominal fee. Stop by and say hello!